Top Rishikesh based Yoga and Meditation Ashrams and Centres. 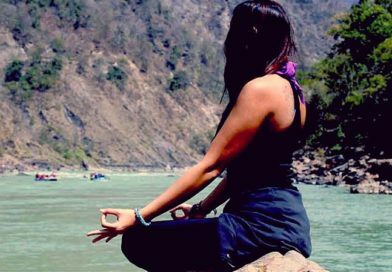 Listed are a few of the best Yoga and Meditation centres and ashrams in Rishikesh, Uttarakhand and what they have to offer. I have put other Uttarakhand Yoga and Meditation offering under this link. 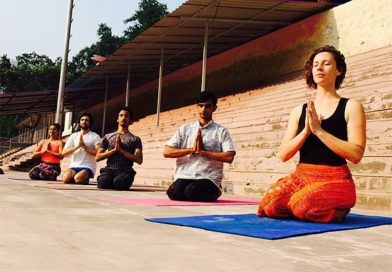 This article is a guide, an overview of these few yoga and meditation ashrams in Rishikesh offering yoga and meditation in amicable and harmonious surroundings. All of these centers offer a chance to go deeper into spiritual practice away from the distractions of outside world. Btw, Some of these centres also offer free trial yoga classes. Please contact these centres individually to check their schedule. Om Shanti Om is one of the oldest yoga teacher training schools at Rishikesh, Uttarakhand. 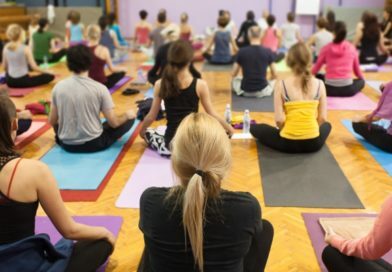 Well known for Vinyasa flow, Hatha, Ashtanga, Iyengar and Sivananda, it has the best experienced professional teachers to guide you towards becoming a yoga trainer. Hari Om yoga school is a perfect place to learn all types of yoga at various levels in Rishikesh. It starts its courses right from a one-week yoga foundation and goes up to professional levels of yoga teacher training. The one-week yoga foundation is more about the basic introduction to yoga and its practical applicability. The course primarily builds in a deep habit of yoga practice. Yoga Vini is a popular RYS of yoga teacher training at Rishikesh. The experts offer guided knowledge of yoga and get you into the depth of it. Yoga Vini conducts three classes each day with small batches of students ensuring complete individual attention among students. It offers the 200-hour yoga teacher training course, daily hatha yoga and meditation sessions, and exotic yoga vacations for special yoga training. 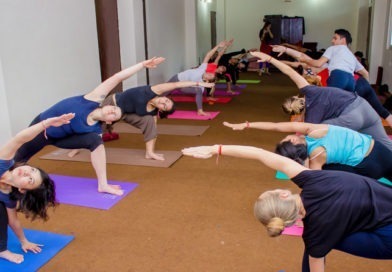 Started in 2005, the Rishikesh Yog Peeth is a yoga school that welcomes yoga enthusiasts be it beginners with no knowledge of yoga to people who look forward to becoming professionals. Patanjala Yog Kendra is established at the Omkarananda Ganga Sadan, Rishikesh where the instructor Usha Devi teaches yoga. Using the methods of the most renowned Yogacharya K.K.S Iyengar, yoga trainings are giving at this beautiful place situated on the bank of the river of Ganga. This foundation is a yoga and a health practice school registered with the Canadian Yoga Alliance, Canada and Yoga Alliance USA. 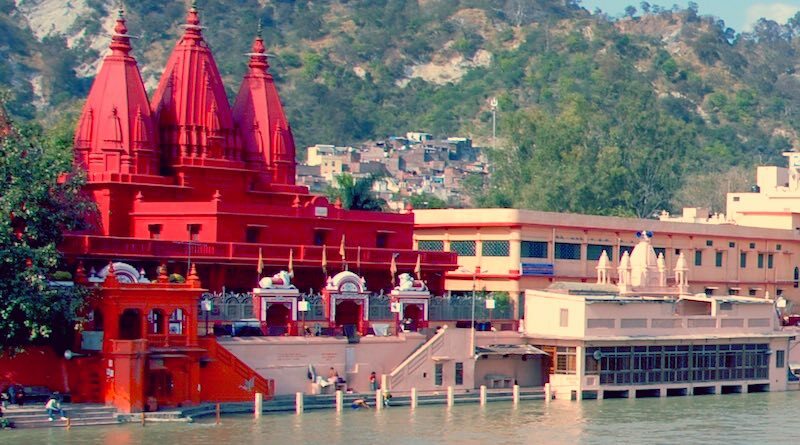 Situated in the best locations of Rishikesh, the place was set up in 2001. The Tatva yoga school is a famous 200, 300 and 500-hour yoga teacher training provider that offers residential training specialising in Ashtanga Vinyasa and hatha yoga. In the Ashtanga YTT in India, the training is about integrated practices of breathing, postures, mental exercise, lifestyle choice and the ability of the mind to give yourself happiness and peace of mind. 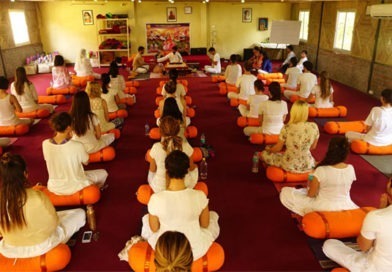 The Akshi Yogshala, situated in Rishikesh is a certified school by the Yoga Alliance, USA. It offers yoga teacher training of 200, 300 and the 500-hour premium training. Akshi Yogashala provides an ashram like the environment and luxury accommodation with all the modern facilities. 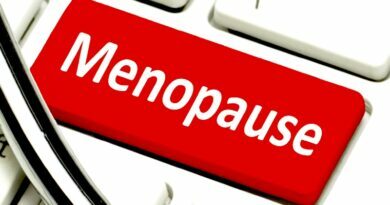 They further offer nutritious veg diet three times a day assuring a good health. Registered with the Yoga Alliance, USA, Jeevan Moksha Yoga Gurukul offers all 200, 300 and 500-hour yoga teacher training at its Gurukul. These courses are specially designed for beginners to start their journey as well as intermediate and advanced level yoga practitioners. It follows various yoga styles like the Ashtanga yoga, hatha yoga, Iyengar yoga, restorative, Hatha vinyasa, yoga therapies and a lot more. The Ajarya Yoga Academy is situated on the banks of river Ganga in Rishikesh. Registered with the Yoga alliance, they provide 200-hour teacher trainings to keep the practice of yoga for generations. They also organise various yoga learning programs such as Ashtanga yoga teacher training, hatha yoga teacher training as well as the short 100-hour YTT. The major features highlighting this Academy is their highly qualified and experienced trainers. The Braham yoga is one of the traditional schools of yoga and meditation in Rishikesh, India. It offers one of the best 200-hour yoga teacher training course which is based on deep concentration, asanas, pranayama and a more in-depth insight into various yoga practices into Hatha or ashtanga. It has a variety of certified courses for all age groups. The Nada Yoga School is the world widely known yoga school and possesses a huge presence in Rishikesh, India. 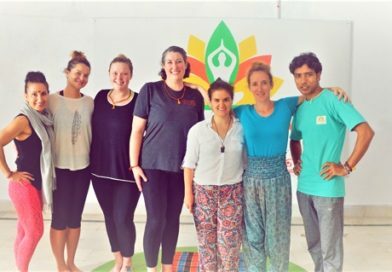 Registered with the Canadian yoga alliance and Yoga Alliance, USA, it is one of the oldest yoga school at Rishikesh with the presence of 8 professional trainers. The school not just provides the path of learning yoga to its students but takes them much beyond to living a healthy, happy and a peaceful happy. 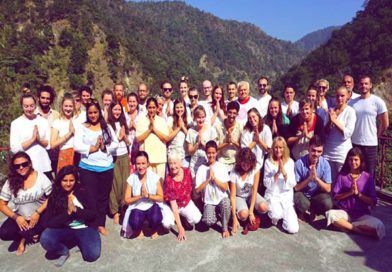 The Hatha Yoga school is a yoga teacher training school at Rishikesh, India. They provide all 100-hour, 200-hour, 300-hour as well as the 500-hour professional yoga teacher training. Thus, they provide an appropriate qualification to kick start your career with yoga. 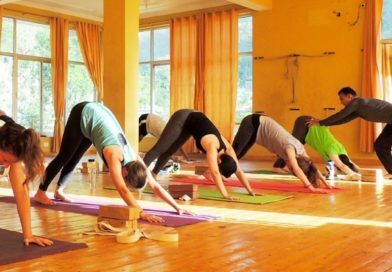 Vishwa Shanti Yoga school in Rishikesh is known for its intensive residential Hatha based YTT for new entrants, intermediate level and professional level yoga practitioners. It offers yoga teacher training at all levels that involve 200-hour, 300-hour as well as the 500-hour YTT. The Chandra Yoga school is involved in providing yoga teacher training of 200-hours, 300-hours as well as the 500-hour session. Additionally, it organises various retreats at Rishikesh for its learners to get involved in multiple skills of yoga. 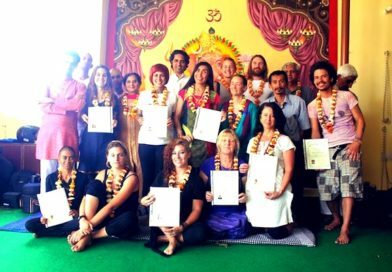 The Om Yoga school is a recognised school by the Yoga Alliance USA. It offers 200-hour residential yoga teacher training to all the aspirants interested in gaining knowledge of the same. The training at Om Yoga school, Rishikesh are held under highly qualified yoga masters. 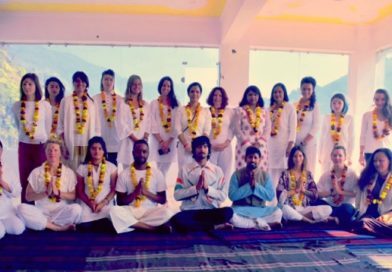 Rishikesh Yog Dham, a registered school under yoga alliance, offers yoga teacher training of 200-hour, 300-hour and 500-hour sessions. They teach yoga surrounding its ancient science involving meditation, physiology, pranayama, asanas, anatomy, Shakt karma, mantras, etc. these are organised as residential courses which include accommodation and food. The AYM school is one of the most authentic and the oldest teacher training schools in yoga at Rishikesh. 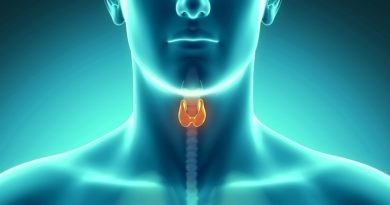 The courses offered include human anatomy physiology, asana alignment, philosophy, meditation, pranayama and teacher training. It provides intensive 200-hour, 300-hour and 500-hour teacher training courses certified by the yoga alliance, USA. The gurus at the school are flexible in their teaching style for you to get the best ways of learning. They make sure that their students feel as comfortable as possible. 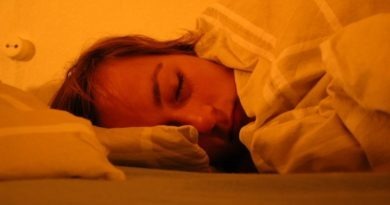 Along with a comfortable stay, learners are offered ayurvedic meals and luxury spa. The Siddhi Yoga school visions to bridge the gap created with time in the ancient yoga and the contemporary living. The Phool Chatti Yoga ashram is located on the banks of river Ganga. 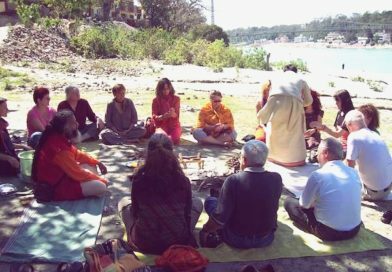 There are a lot of programs held right from the 7-day yoga and meditation program to programs that bring higher experiences of the ashram life. The ashram has a comfortable and a clean environment as the Hindu traditions follow. 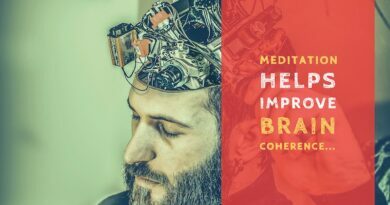 Vedansha is an institute of Vedic science established to help people manage their emotions, improve the fortune of life, evade fears and open his mind to feel the harmony and happiness along with supporting programs like Ayurveda practices and yoga to fight the undesired diseases. Vedansha provides basic as well as the advanced knowledge about pranayama, asana, Ayurveda, meditation, naturopathy, yoga therapy, astrology, etc. it organises various retreats to fulfil these missions. 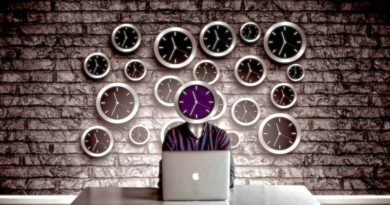 Note: This is just an inductive list of the Rishikesh Yoga and Meditation Centres… Please do your due diligence before enrolling into any of the programs/retreats and centers.